The big problem for any of the companies entering the computer business in the early 1950s was making a profit. They took a big risk, spent a lot of money and had no guarantees of any sales. But what if you were selling solder and soldering irons to these gambling entrepreneurs? Imagine being in the solder supply business to an industry that was growing at this phenomenal rate. Just such a fortunate soul was one Claude Michael. Claude Michael was born in Indianapolis in 1906. In 1930, two years after marrying Fauniel, the daughter of his employer at the time, he was still a local huckster, selling fruit and vegetables in his home town. Claude and Fauniel headed west late in that year or, perhaps, the next to escape the Midwestern winters, arriving and settling in Glendale, California. Claude Michael then put his sales skills to work for a company based in Providence, Rhode Island selling solder fluxes, soldering irons and the like. The Providence company was the M. W. Dunton company. You might say that they wrote the book on soldering. After some years of working for Dunton, he had expanded his territory to include much of the United States. In 1937, Michael formed his own company in Glendale, the Claude Michael Agency, and expanded his operation to include tool sales and later, automatic soldering equipment. He developed his own line of solders, manufactured for his agency. His product line covered a wide range from automotive body solders to electronics solders that went into the first Space Shuttle. He consulted on many soldering problems. In 1960, he produced “On Solder,” a 25 minute film on soldering techniques. 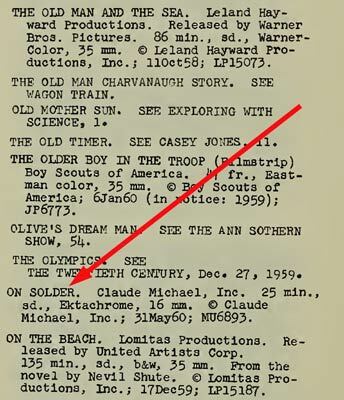 Here it is in the 1960 Motion Picture Copyright catalog, sandwiched in between "The Old Man and the Sea" and "On the Waterfront." 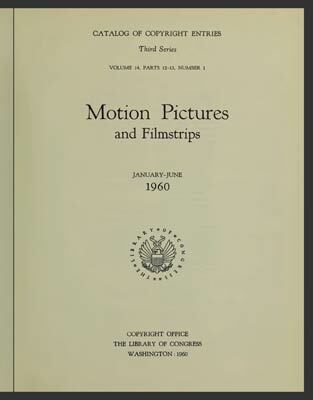 Around 1952 or 53, Mary Greene walked into the agency looking to fill a position as salesman. There were no sales “women” in electronics and industrial tool sales at the time; people (men) simply didn’t hire women for that type of job. But Greene made a good case for herself. Claude and Fauniel took her out to the Elks Club for lunch and Fauniel was convinced that Mary could do the job. She persuaded Claude to hire her. Mary Greene was a big success in sales. In 1967, she was still selling for Claude Michael and was one of ten recipients of a “salesman of the year” trophy from the Sales and Marketing Executives Association of Los Angeles. 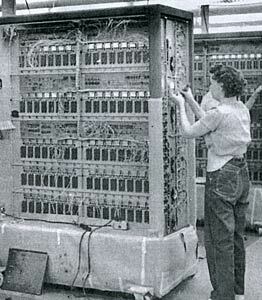 If that name, Greene, rings a bell it’s because Mary was the wife of George Greene, developer of the Marchant MINIAC. George and Mary had divorced after George got heavily involved with his computer project. That put her in the market for a job. She later remarried to George Conner in 1956 but apparently kept her well established professional name of Greene. The Rest of the Story. Whatever happened to? Claude and Fauniel Michael. They were interviewed for a Glendale oral history project in 1993. Claude lived to be 91. Fauniel died at age 93. The Claude Michael Agency. In 1968, Marshall Industries acquired the Claude Michael Agency. Mary Greene. Mary passed away in 1973 in Glendale under the name of Mary Connor. Solder. Solder, especially with flux, is regarded as a hazardous substance subject to California's proposition 65 labeling requirements. And, of course, the lead content of about 40% that we used to know in electronics is long past. And solder girls? - Only a distant memory in the United States. The M. W. Dunton Company. After a hundred years in business, Dunton was acquired by RectorSeal in 1998. 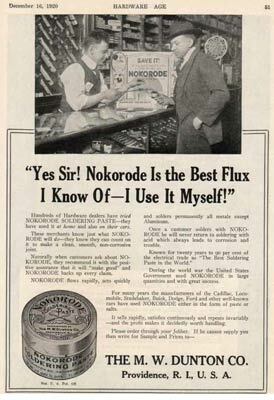 You can still buy Nokorode soldering paste. 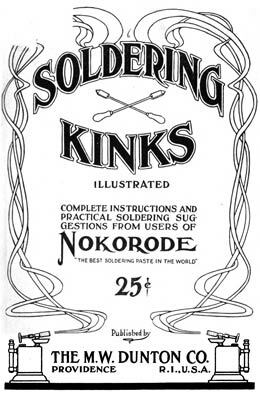 But those soldering techniques like this one published in "Soldering Kinks" in 1915 are only a distant memory.